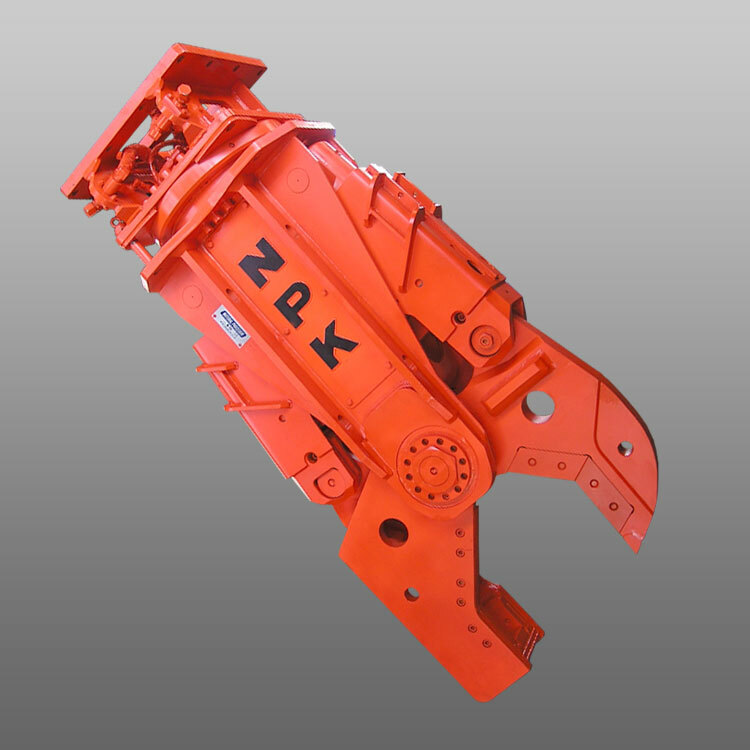 The NPK® Multi Processor is an efficient solution for concrete, steel and rebar processing, building and bridge demolition and recycling. The jaws can be exchanged on-site which saves costs. 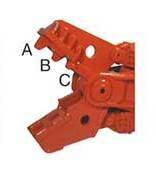 The processor is manufactured from high strength, abrasion-resistant steel and the cylinder rods are fully protected. The Multi Processor is designed in such a way that whenever the jaws meet resistance, the hydraulic booster is automatically activated. The pressure intensifier system has a relatively low oil flow; which produces faster cycle times and more crushing strength when compared to competitive attachments without a booster system. Additionally, other excavators functions remain uninfluenced by this system. The integral booster reduces the total weight of the attachment, which allows a compact body design and affords ease of maintenance. On-site versatility is optimized by the availability of interchangeable jaw­s. Only NPK® offers an exclusive integrated booster system that automatically activates when the jaws meet resistance. Efficient solution for concrete, steel and rebar processing, building and bridge demolition, and recycling. Manufactured from high-strength, abrasion-resistant steel. Reinforced shield protects cylinder rods. Cost effective: far more economical than buying three different attachments for three different applications. Full 360° power rotation provides an effective angle of attack for any job wherever the location. 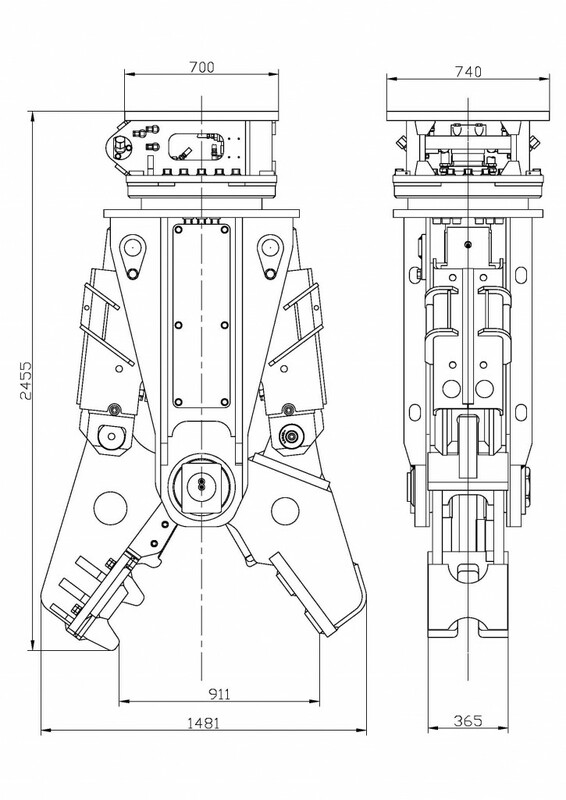 No additional pressure reduction is required in the hydraulic system. The NPK Powerbooster can be explained in 4 steps, as described above. As soon as the jaws meet resistance the extra speed is changed to extra power. Without concrete in the jaw, the booster creates more speed.